Don't let the small number of newly announced phones this week fool you. Few as they may be, the new releases have a lot to grab your attention. Perhaps the most interesting among this week's launches is the Gionee Elife E8. The Chinese company's latest and greatest is a true flagship with a 6-inch QHD screen and a Mediatek Helio X10 inside. But it's the camera that gets the headlines with a 24MP sensor, optical image stabilization, and phase detection autofocus. If that's not enough to keep you interested, the 120MP mode might do it. It's just that it may come a bit pricey at CNY 3,999 ($675) but we'll let the market decide. Gionee's Marathon M5 costs a bit more than half that and comes with a 5.5-inch display and midrange specs. But wait, there's more. It has a couple of batteries for a total of 6,020mAh, fast parallel charging and software power optimizations, resulting in a 4-day battery life, at least by Gionee's claims. If you liked the Galaxy S6 but it wasn't tough enough for your outdoor lifestyle, you now have the Galaxy S6 active to bring with you while kayaking. Yes, it does have IP68 and MIL-STD-810G certifications for protection against the elements, but it's not all. 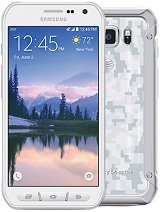 To sweeten the deal, Samsung has fitted the Galaxy S6 active with a 3,500mAh battery, close to 1,000mAh more than the regular S6. 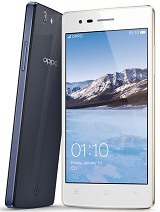 Meanwhile, Oppo has announced the Neo 5 (2015), an affordable 4.5-inch phone without much bells and whistles. It has all the basic stuff covered, with a quad-core processor, 1GB of RAM and an 8MP/2MP camera duo. The Neo 5 (2015) does borrow a touch of premium from more expensive company models though, but only in terms of design.